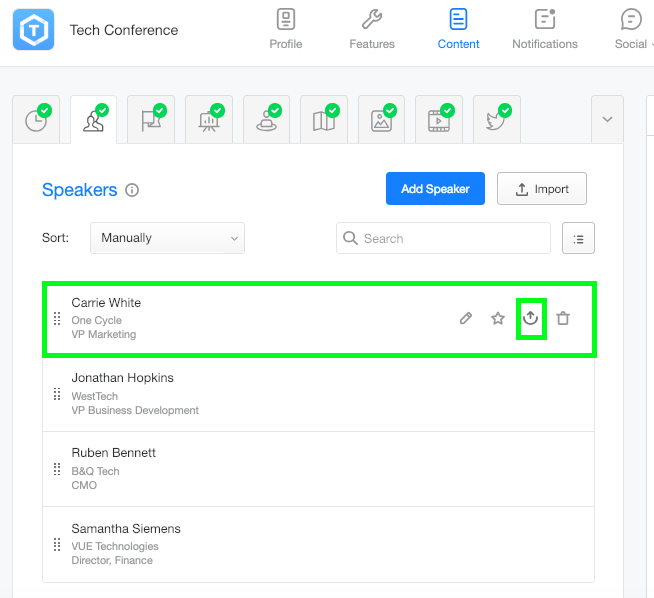 Learn how you can effortlessly organize features and feature items in your event app. 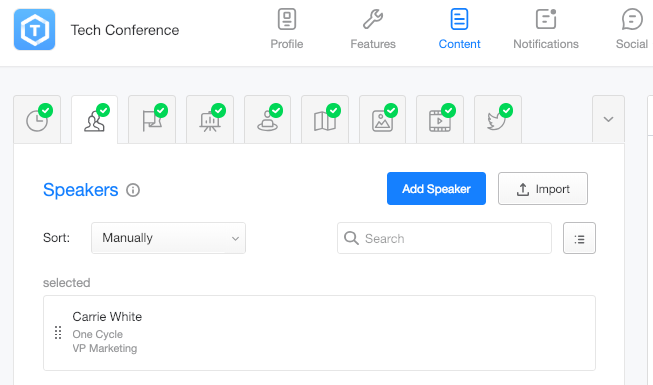 Attendify allows you to choose a preferred order for the features to appear in the application menu as well as the order of items inside every feature. Here is how it's done. The order of the features in the dashboard defines how they appear on the app. You can reposition the features at any time on the Content step by hovering the mouse cursor over a feature, and dragging and dropping it in the desired position. Setting An Order For Content Within a Feature. 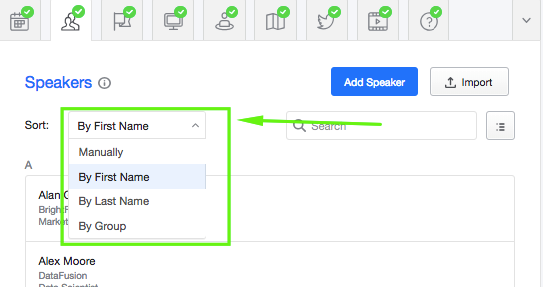 If you want to move an item inside a feature, for example, changing the order of your speakers you can follow the same steps as above but inside the feature on the content tab. If the items inside a feature occupy several pages, and you need to move one to another page, hover the mouse cursor over it, and click the arrow pointing up. This will mark the item as "selected"
Hover the mouse cursor over any item on the new page and click the icon with an arrow pointing down. This will place the selected one above it. 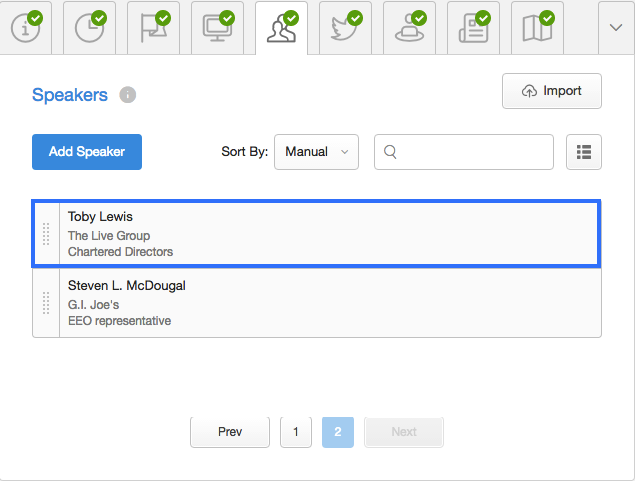 To help you organize items within a feature there are available standard sorting options. 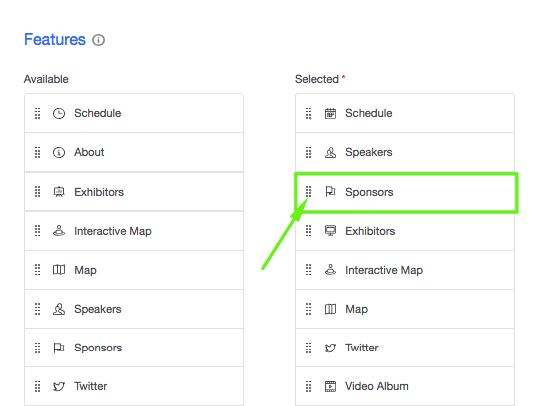 You can sort speakers by the first name, last name or groups and sponsors & exhibitors by the company name or level/category. This is all there is to organizing features and content!